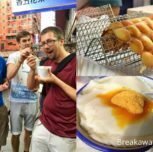 Want to try our local snacks but don’t know where to go and what to eat?? 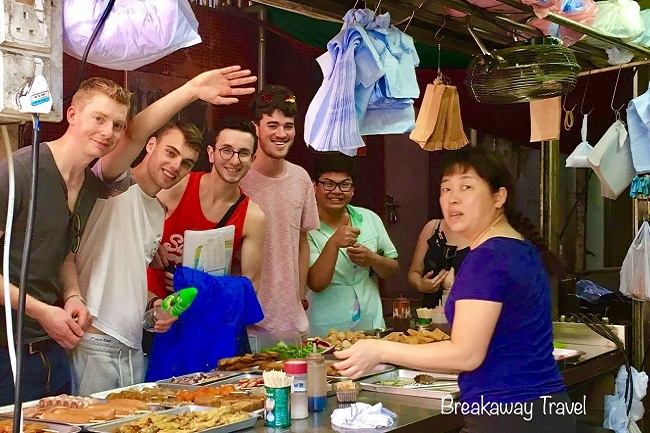 Come to join us now, the 3 - 3.5 hours foodie tour include 4 food samplings, our friendly foodie guide will regale you with the history of Wanchai, share funs and tell you more of Hong Kong’s food culture and its’s development. 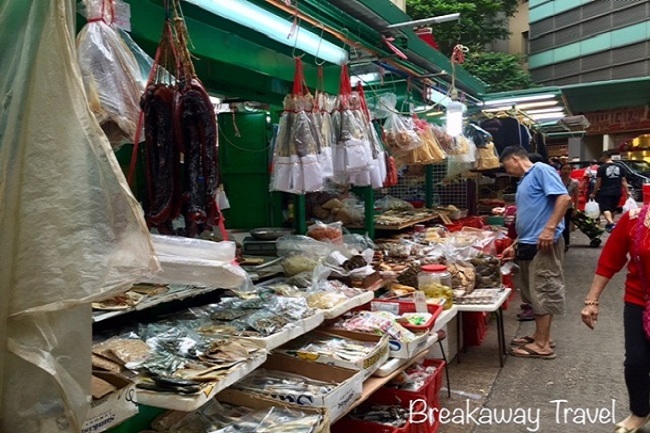 A guided walk also include a visit to a wet market, so you can deeply dig to the grassroots of Hong Kong. At 10:30 a.m, our friendly foodie guide will meet you at Wan Chai MTR station. 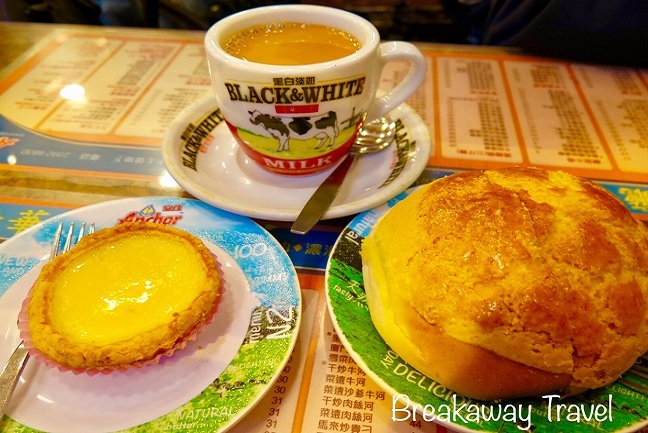 We begin our tour with a tasty sampling brunch at a local “Hong Kong style café” (Cha Chang Teng) for the iconic drinks like milk tea or mixed milk tea and coffee, Hong Kong style French toast, pineapple bun with fresh butter, breakfast sandwiches and other morning specialties. 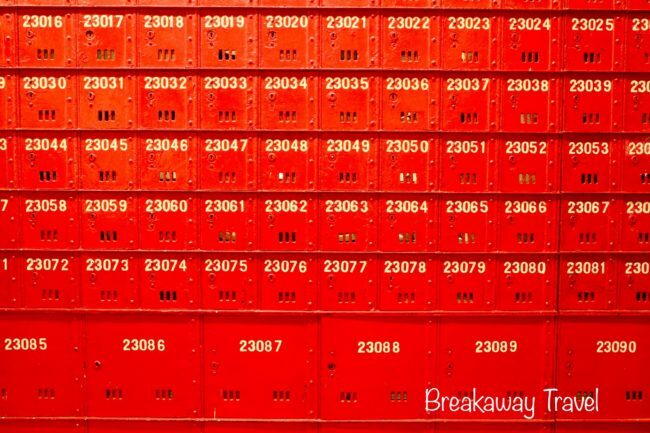 In between our tastings, we will stop by an iconic wet market that offer a blast to the past. Wet markets are the traditional places that sell poultry, live fish, fresh meat which require frequent “floor washing”, this is how the name of “wet market” came from. Wet markets are usually wet, smelly and fishy but also the places to get freshest food with cheapest prices. 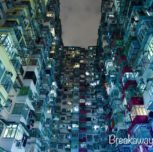 We will stop at three family-run tasting food stalls featuring Hong Kong’s classic food which may include samples of roast pork belly or Barbecue pork, marvelous mini egg puffs and egg tarts from the local bakery. On our way, we will pay a visit to the “Blue House” which was the original site for the first hospital in 1870’s but was acquired by the government in 1970’s, and the outer walls painted blue and was thus named the “Blue House”. During 1960’s – 1970’s, Kung Fu Master, Wong Fei Hung, had a student named Lam Sai Wing, who launched a Kung Fu Studio at Blue House with his nephew. 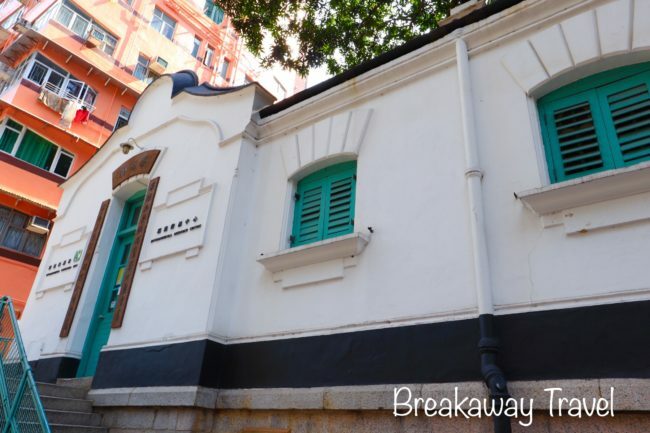 The Building also houses the “Hong Kong House of Stories” which is open to visitors. Towards the end of the tour, we will make a stop at Pak Tai Temple. The temple is a Taoist temple, built in 1863, is the biggest of its kind in the city. It consists of three halls with the main hall housing the three-meter tall copper image of Pak Tai with the images of Lung Mo (Dragon Mother) on both sides. The temple is now listed as “grade 1 historical building by the Antiques Advisory Committee for permanent preservation. Cost of transport or any food / drinks which you choose to buy during your tour. WEATHER CONDITIONS: All tours take place as scheduled except under Red/Black storm warning or Typhoon #8 or above.